Posted November 2, 2011 in Gary Martin, Jack Kirby, Mike Royer, The Demon. 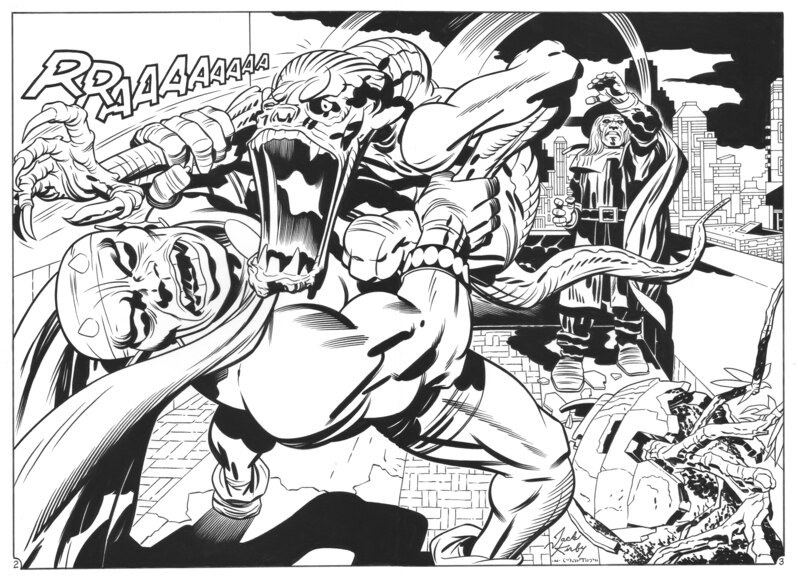 A panel from The Demon #7 recreated by illustrator/inker/writer Gary Martin. Gary has worked for all the major comic companies on such titles as Spider-Man, Batman, Star Wars and Mickey Mouse. He is best known for his work with Steve Rude on Nexus and Moth and author of two volumes of The Art of Comic Book Inking. You can find more of Gary’s work at his website and comicartfans gallery. 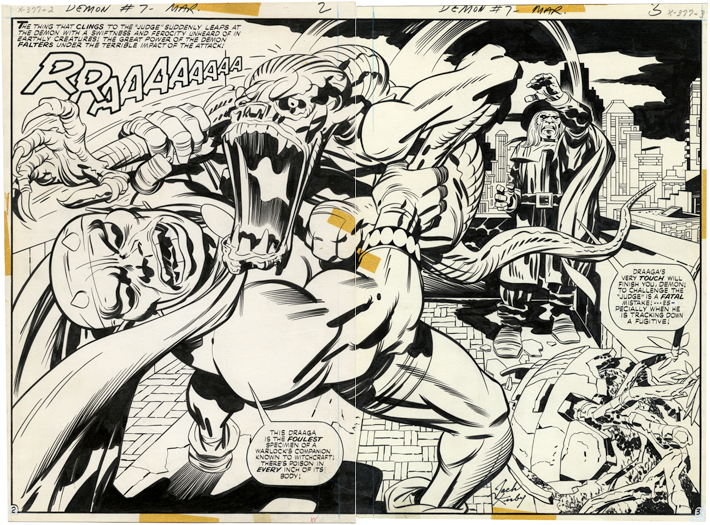 Original art by Jack Kirby and Mike Royer (via What If Kirby).